It’s an emergency on all fronts! We know we have an immigration crisis – we just didn’t know where until now. The sheer number of migrants flooding over our borders is not only frightening, it’s completely unsustainable. We’re going broke trying to care for the world’s garbage, plain and simple. But when we refer to this emergency – and that’s exactly what it is – we almost always refer to our southern border. And while it’s true that most of our problems come from the U.S.-Mexico border, Washington has just revealed a surprising fact about our northern border. …it proves that Mexico is a much bigger problem than we think. “More than half of the illegal immigrants arrested last year as they traveled from Canada to the U.S. were Mexican citizens, according to newly released government data. 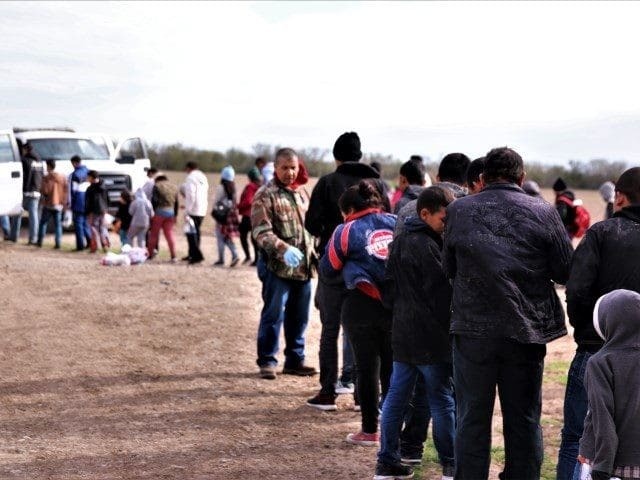 A total of 4,316 noncitizens were arrested at the northern U.S. border in fiscal 2018, and 2,245 of those were Mexican citizens. Yes, that last point is just another loophole for Mexicans trying to sneak into this country. Furthermore, total arrests at the U.S.-Canada border leaped 43 percent between 2017 and 2018, reaching the highest level in 8 years. Those coming from Mexico are taking advantage of ALL our porous borders. Illegals are literally invading in giant numbers, and they’re coming in everywhere and anywhere they can. THIS is exactly why President Donald Trump declared a State of Emergency. It’s an exceedingly dangerous situation for the entire country; if we can’t fix our broken immigration system, we’ll be overrun … and broke. So, SHARE if you think we need to stop ALL immigration from Mexico immediately!